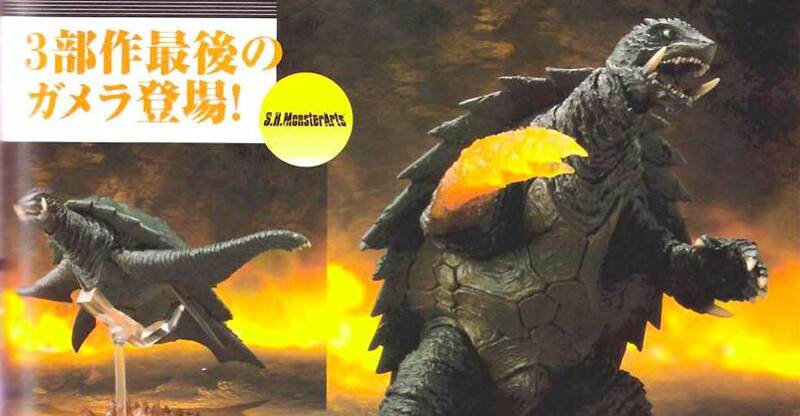 Thanks to our sister site TokuNation, we have our first look at the new Gamera 3: The Revenge of Iris (1999) – S.H. 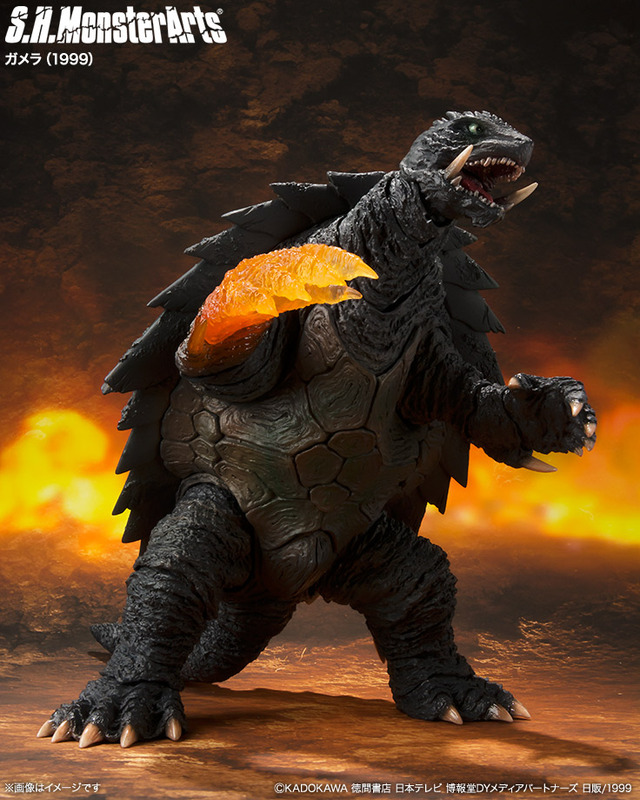 MonsterArts Gamera Figure! According to the report, this is a remold of the original S.H. MonsterArts Gamera Figure, with some new parts and a new paint scheme. The figure includes his flaming fist as well as the flight parts and stand. There may be additional parts included, but not pictured in the scan. We’ll update with official images and details once they become available. 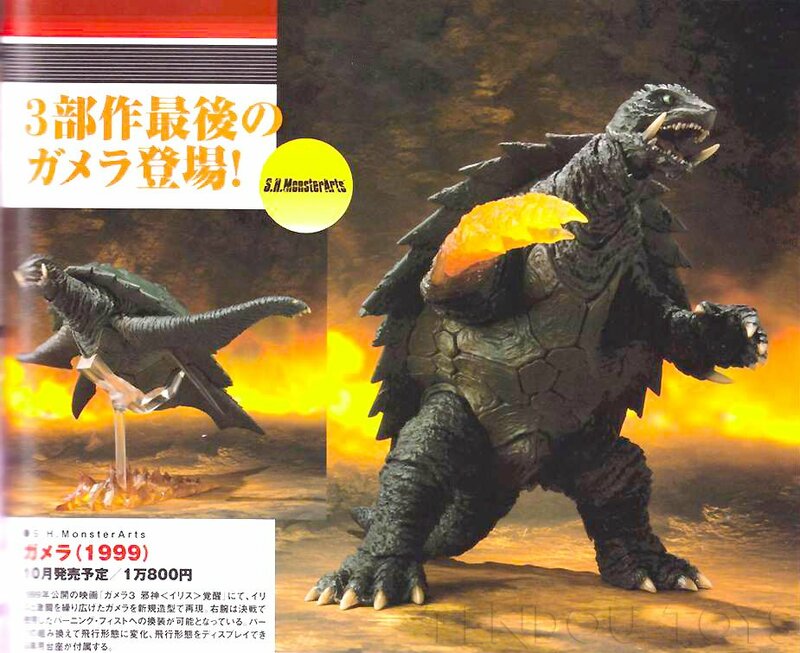 The Gamera 1999 Figure is set for release in October. It will be priced at 10,800 Yen (about $98 USD). Click the banner image for the full preview. Damn! BOUGHT! He'll go good with my other Godzilla and friends Monsterarts! Something looks off about it. Hopefully the final product will look closer to the movie. So far, not impressed as his head doesn't look mean enough. Hopefully I'll have the funds this time. Yes, Please! This will be my first Monsterarts purchase in a loooong time. Since when did Gamera become Ironfist? @Topic: This looks awesome, but I can�t help but think about SHMA's terrible QC. I want this so bad, but I also don�t want to open the figure and see bleeding gums and wonky eyes again. Just preordered this. Totally sneaking this guy onto my Godzilla themed shelf.